Santana is situated on the beach in the middle of the Margate Golden Mile. 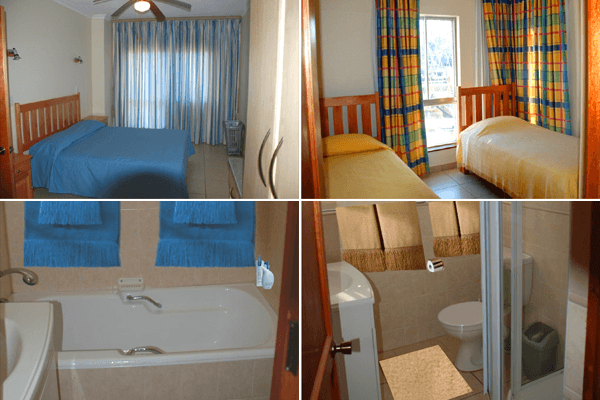 Santana is a great choice for a honeymoon, weekend break or family holiday. Santana offers the spaciousness of 2 and 3 bedroom units - 2 bathrooms, magnificent living and dining areas as well as state of the art fully equipped kitchens. 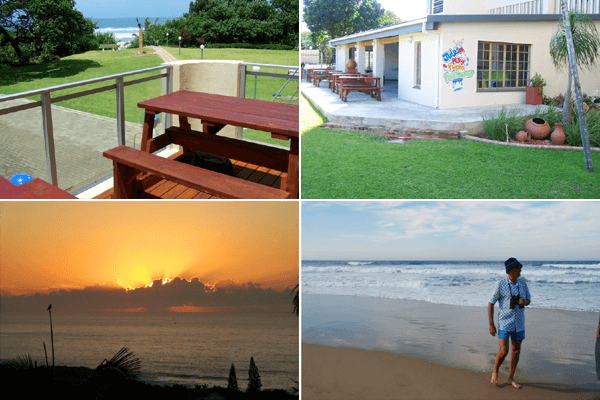 Our well maintained gardens lead directly onto the beach. From a safety aspect - children have no need to cross any roads. 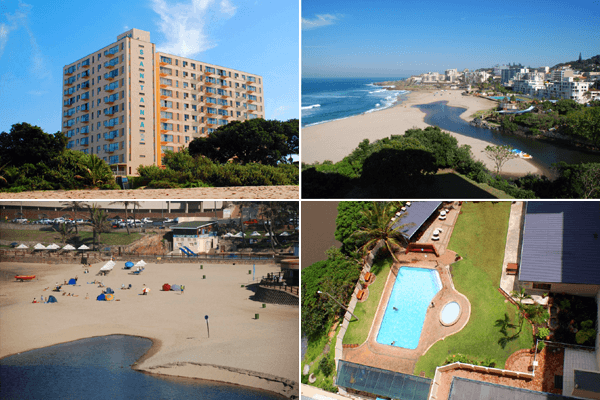 A short stroll along the beach will take you directly to the Main Margate Beach. 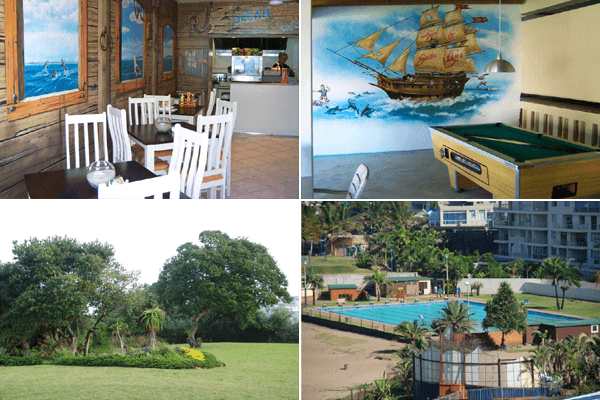 Santana is also within easy walking distance of Margate's CBD - Restaurants - Cinema and Fishing Pier. • Take a leisurely swim in our sparking freshwater pool. 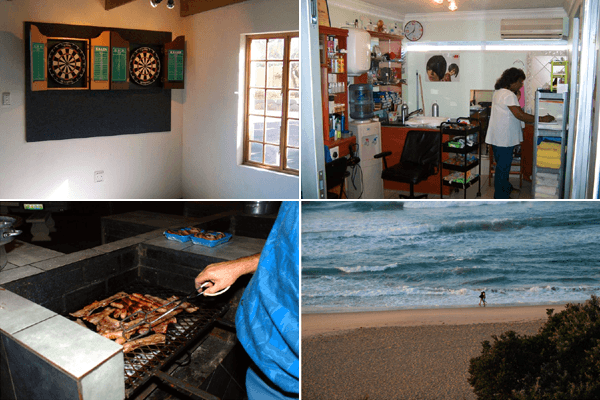 • Enjoy a social braai at our communal braai facilities. 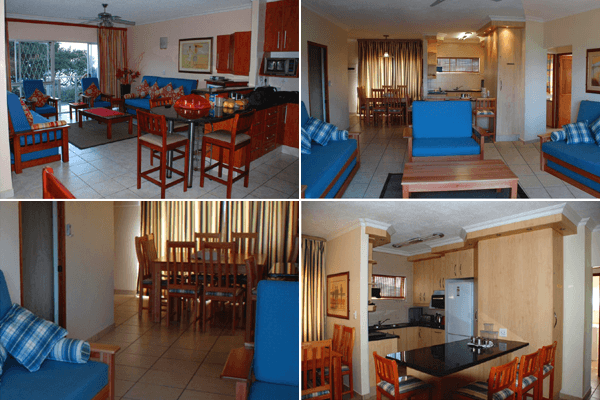 • Apartments fully equipped with Ceiling fans, TV, M-Net and DSTv included. Balconies from which to enjoy the spectacular views of the warm Indian Ocean. • Dolphins and whales are often sighted from the comfort of your unit. • The fully equipped kitchen includes a microwave, stove, and combined fridge/freezer. decorated and furnished ensuring the right balance of style & comfort. • Just bring your own towels. Linen included in tariff. • Laundry facilities and public telephones available in building.